In association with the Centre for International Studies, University of Oxford, the Fafo Institute for Applied International Studies, Oslo, the Norwegian Peacebuilding Resource Centre (NOREF), Oslo and the Folke Bernadotte Academy, Sandöverken. Multilateral organisations and donors devote considerable resources annually to stabilising and rebuilding fragile and conflict-affected states as they emerge from experiencing high levels of violence. Yet despite significant experience, efforts have been hampered by the absence of a clear and common understanding of the characteristics of a consolidated peace and the lack of effective means of measuring progress towards that end. This conference enabled an exchange of knowledge, especially among practitioners engaged in peacebuilding, on how they currently assess progress towards achieving a sustainable peace, in particular identifying best or good practice. Defining peace – its characteristics and requirements – is essential to measuring peace consolidation. However, peace is difficult to define, let alone measure. Visions of peace, and how these can be achieved, vary between external and domestic actors and within conflict environments. Rather than a static snapshot, peacebuilding is a dynamic process which is constantly unfolding, and measurement of peace needs to take this into account. Identifying the underlying purpose of measurement is important. It shapes what is measured, and how it is reported. Measuring peace consolidation can be process- oriented, evaluating operational successes and failures, with the results fed back into the mission to improve doctrine. It can also be outcome-oriented, providing a yardstick to assess if a mission has achieved its goals and whether it is time for the mission to transition and eventually exit. Ensuring local ownership and buy-in to the peacebuilding process is extremely important for measuring peace consolidation and in peace operations more generally. Ultimately the societies and governments of post-conflict states will be those to benefit or suffer from the effectiveness of a peace operation. Therefore it is important that ‘measured’ results do not differ significantly from results ‘experienced’ by local populations. 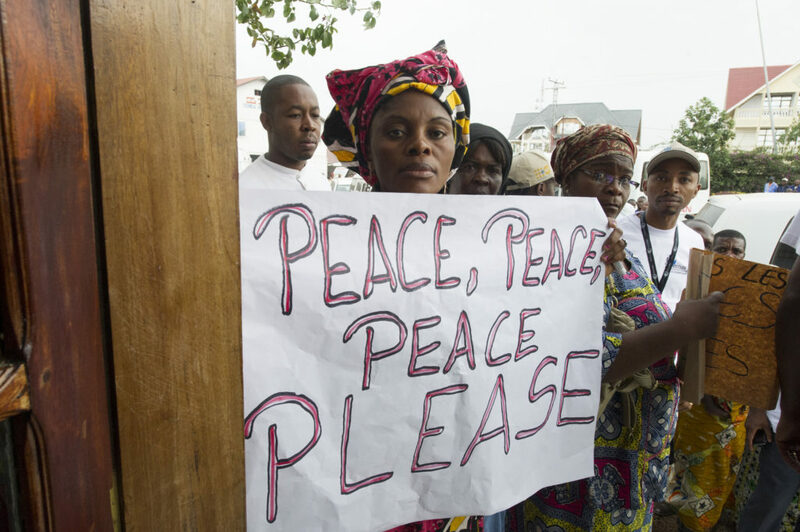 Moreover, having lived through the conflict, local populations are in a unique position to judge the progress of peacebuilding. Without this perspective, peace operations can become detached, failing to learn important lessons and overlooking conflict risks and state fragility. It is also important to note the complexity and politically charged environment in which measurement or evaluation takes place. Measuring progress can be subject to political interference. Host countries, eager to present an image of progress, can be resentful of labels like ‘fragile’ or comparison with other states which are both potential outcomes of measurement, viewing the process as detrimental to their international standing and unhelpful in aiding stabilisation and development. Budgetary accountability and changes in political opinions of voting publics can also create pressures from, and within, donor countries. Moreover, there is an inevitable resistance among international organisations to accept that what has been undertaken may have been wrong or ineffective. At worst these pressures can precipitate an untimely exit from a fragile state and a relapse into conflict. Benchmarking has been a widely used method of measurement, especially within UN operations. In practice, benchmarking has come under criticism for being imposed from the top down and rigid in relation to the changeable realities of a post-conflict environment. The use of benchmarking can be too technical and ambitious. Used properly, however, with a modest approach and treated as flexible open systems of indicators attuned to the local context, benchmarks can provide an effective tool to measure peace consolidation. At the same time, evaluation of peacebuilding and statebuilding continues to be a work in progress. The review of the Peacebuilding Commission (PBC) in 2015 provides an opportunity to develop a clearer understanding of what peacebuilding is and a more cohesive approach on the part of the United Nations (UN) and its specialised agencies to the conceptual, organisational and operational framework required to promote a consolidated peace. The elaboration of the post-2015 Millennium Development Goals (MDGs) provides a further opportunity to strengthen frameworks for peacebuilding and evaluation; if these cover peacebuilding issues more countries can be encouraged to adopt appropriate benchmarks in their national plans.